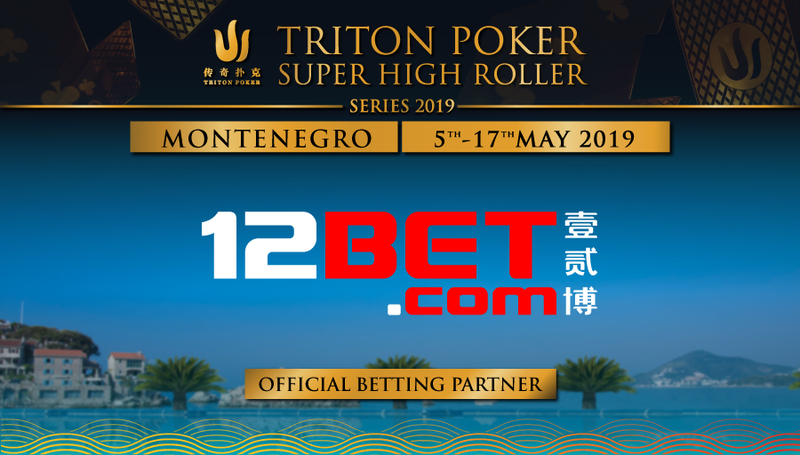 April 2019 – Triton Poker is pleased to announce 12BET as the Official Betting Partner of the Triton Poker Super High Roller Series Montenegro 2019. 12BET is an online betting company specialising in sports betting and casino products. 12Bet became operational in 2007, quickly becoming one of the most popular online betting options throughout Europe and the Asia-Pacific region. The deal with the Triton Poker Series is the first time 12BET has partnered with a poker company, but they have a rich history of successful sponsorship deals including a presence in the fields of snooker, badminton, pool, taekwondo and table tennis, although football has always been their primary focus. 12BET entered the sponsorship market in 2009 after becoming the shirt sponsor of La Liga side Sevilla. 12Bet has also been the Official Betting Partner of English Premier League (EPL) sides Swansea and Leicester City, the latter in the wake of their stunning 2015/16 triumph and currently hold official betting partners title for Arsenal F.C. (2016-19) in Asia. 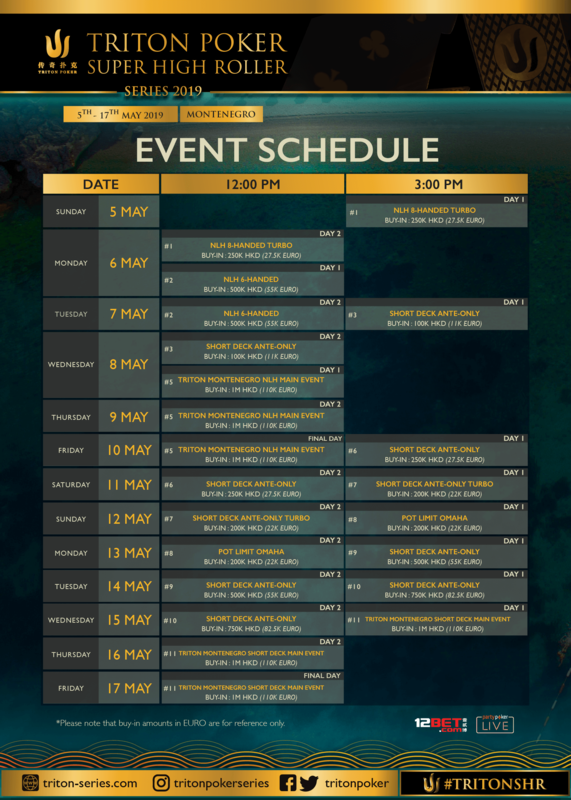 The Triton Poker Super High Roller Series Montenegro 2019 will be the most ambitious Triton event to date, with ten events spread between May 5 – 17, including the €110,000 buy-in Triton Poker Series No-Limit, Hold’em Main Event, and the €110,000 buy-in Short-Deck Main Event. Here is a full schedule of events. Previous winners of Triton Poker events include Fedor Holz, Daniel ‘Jungleman’ Cates, Justin Bonomo, Timothy Adams, John Juanda, Dan Colman, Jason Koon, Phil Ivey, and Mikita Badziakouski. For further information on the Triton Poker head to www.triton-series.com or contact info@triton-series.com. If you need any information on tournament info or buy-in details email vip@triton-series.com.